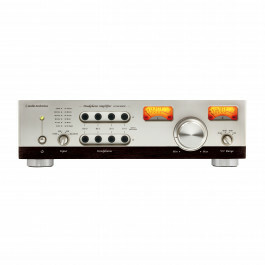 Two E88CC vacuum tubes are used in the preamp stage to achieve the warm, mellow sound you can only get from tubes. 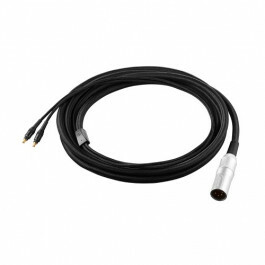 A pair of Toshiba bipo..
3 0 m (9,8') Y-type balanced cable. Neutrik XLR4 (male) gold-plated output connector. 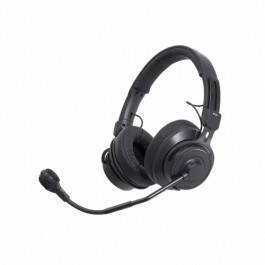 A2DC (Audio Designed Detachable Coaxial) connectors ..
Bluetooth wireless technology with in-line mic and controls for answering/ending calls, controlling music & video playback and adjusting vol..
Bluetooth wireless technology with mic and controls built into the earcup for answering/ending calls, controlling music & video playback and.. 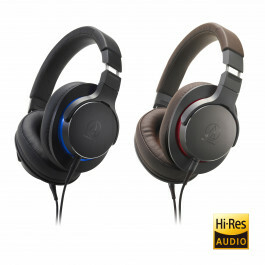 Renewal of the award-winning ATH-MSR7 adds audiophile option of a balanced connection. Proprietary 45 mm True Motion Drivers (with diamon..
Exceptionally pure audio of Sound Reality in a wireless design. 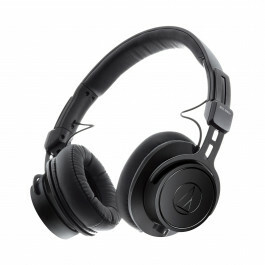 Exclusively designed 40 mm drivers for outstanding sound quality. 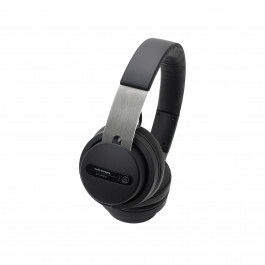 Internal..
Exceptionally pure audio of Sound Reality in a wireless design. Exclusively designed 45 mm drivers are capable of Hi-Res Audio reproduction..
45 mm large-aperture drivers reproduce ultra-expressive, detailed sound. 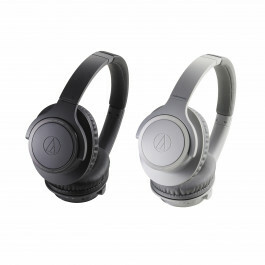 On-ear design with sleek, minimalist style. Detachable lockin.. 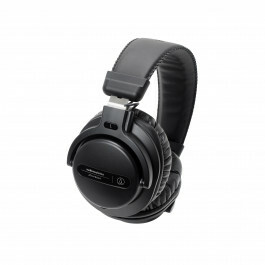 Newly developed 40 mm drivers provide extremely accurate sound. Detachable locking cables – 1,2 m - 3,0 m (3,9' - 9,8') coiled and 1,2 ..